I spent the weekend in Orlando at the Food and Wine Conference (it’s put on by the team behind Sunday Supper). I gave a short talk, but mostly spent my time catching up with Maggie and Merry Jennifer, and soaking up all the good knowledge and experience that the rest of the presenters and bloggers had to share. It was good and I’m so glad I went. Now, links! Want to make some homemade wine this summer? Check out this DIY fermenter set-up! Zucchini bread and butter pickles (from my new book!). Thanks Pam! Small batch sour cherry apricot jam. Sounds like a dreamy combination to me. Brilliance from My Homespun Home. Christina uses cranberries to help boost the pectin levels in strawberry jam. Candied jalapenos with a splash of tequila from the always clever Autumn. 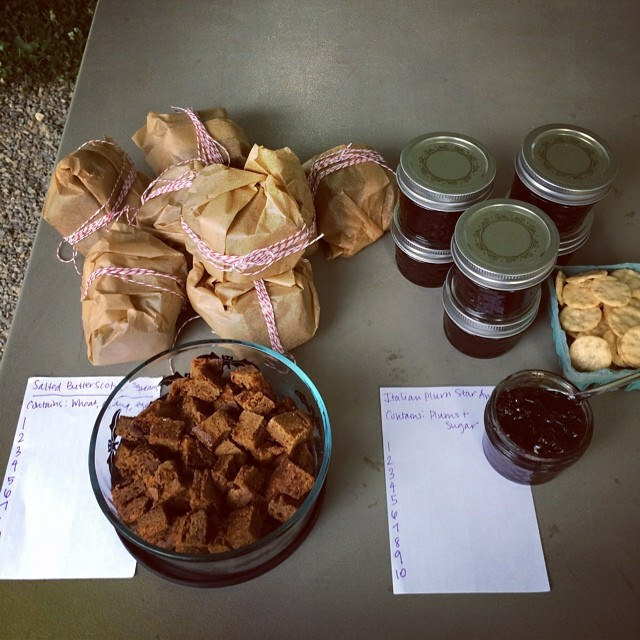 A round-up of recent preserves from Rebecca over at Cakewalk. Those currants just could not be any prettier! Gorgeous, glowing black currant jam. Curious about blue garlic in pickles? Here’s the explanation. My friend Amanda wrote a lovely post about my book over on her site, Phickle. Truly, she made me blush with words. Thank you, Amanda! 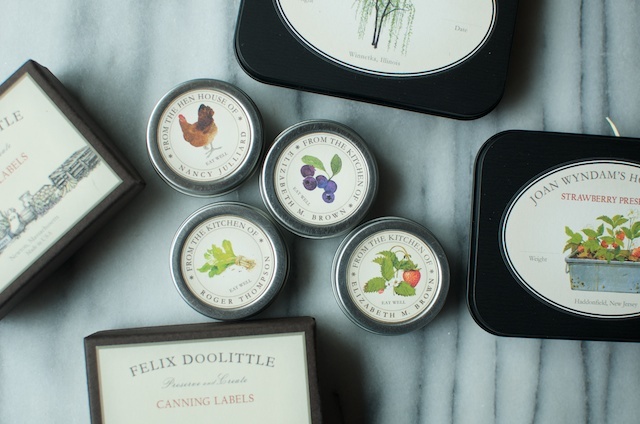 Thanks to everyone who took the time to enter the Felix Doolittle giveaway! The winner is #159/Erin. She said, “Oh what beautiful labels! I would choose the fox branch label.” Happily, you’ll be able to just that, Erin! Enjoy! Thanks for sharing, Marisa! Here’s to more black currants in the world! It was so wonderful spending time with you at the conference. I loved getting to know you more! Katie, I just don’t know whether the candied jalapenos could be made safe for canning. So sorry! Thanks for getting back. Bummer! They are very good. Thanks for sharing.